PORTAGE – John Robert “Doc” Curtis, age 97, died Sunday, August 12, 2012. “Doc” was born July 8, 1915 in Portage to Dr. Charles R. and Anna Curtis. He graduated from Portage High School and then attended the University of Wisconsin Madison and graduated from the College of Veterinary Medicine, Ohio State University in 1938. He joined his father in practice in Portage. Their practice area covered much of Columbia, Marquette, Adams and Sauk counties and they opened a pet clinic in 1950. Not only did they work together, they both curled. “Doc” had been a member of the Portage Curling Club since 1926. He started curling at age 11 and curled his last game this past winter. His rinks have won the Wisconsin State Bonspiel and represented Wisconsin in the U.S. Men’s Curling championships in 1957 and 1959. He also played with the oldest team in the U.S. Senior Curling championships. 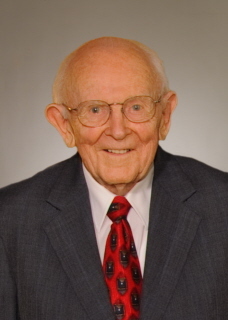 “Doc” served on the Portage School Board for 25 years. He helped plan and organize the Cooperative Service Agency, now known as CESA 5, and was a member of its first Board of Directors. He was a member of the Madison Area Technical College board, serving three years as president and later served on the MATC Foundation Board. He was the only person to have been the president of both the Wisconsin Association of School Boards and the Association of Technical College Boards. He was inducted into the Portage High School Hall of Fame in 2006. After being elected to the Portage City Council for eight years, “Doc” was elected to represent Portage as a supervisor on the Columbia County Board where he served until 2010. “Doc”, an expert on Portage history, was the first President of the Portage Historical Society. At the Portage Area Chamber of Commerce 60th annual dinner he was named 1991 Distinguished Citizen of the Year. In 2004 he was Grand Marshall of the Canal Days Parade and was selected Person of the Year in Portage in 2006. He researched, authored and published A Military History of Portage 1673 – 1975 in 2007. A lifelong member of the Portage Presbyterian Church, “Doc” was the youngest elder, when elected the first time. He served as treasurer and sang in the choir. He and Kathryn have participated in Meals on Wheels for more than twenty years. He was preceded in death by his parents and first wife, Ruth Pepper. Survivors include his wife of 51 years, Kathryn Phelps and his three children, Martha (William) Longbrake of Seattle, Eleanor (William) Voigt of Portage and Mark (Susan) Curtis of Rogers, Arkansas. Other survivors include his grandchildren and great-grandchildren: Derek and Katie Longbrake (Aaron, Rachel and Rebekah), W. Andrew and Heather Voigt (Walker and Molly), Mark and Erin Longbrake (Adam), Katie Voigt, David Longbrake and Dorothy Longbrake. He is also survived by cousins June Mathewson and Curtis James Shilstra, and many nieces and nephews. Memorial services will be held at 11:00 a.m. on Friday, August 17, 2012 at the Portage Presbyterian Church, 120 W. Pleasant St., with the Rev. David Hankins officiating. 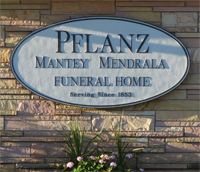 Visitation will be from 4:00 p.m. until 7:00 p.m. on Thursday, August 16, 2012 at the Pflanz Mantey Mendrala Funeral Home in Portage, and from 10:00 a.m. until 11:00 a.m. on Friday at the church. The family wishes to thank Dr. Elizabeth Strabel and the staff at Divine Savior Hospital. The family also appreciates the kind and loving care provided by the staff of the Columbia Health Care Center in Wyocena. In lieu of flowers, contributions may be made to the Portage Presbyterian Church or the Portage Public Library Campaign.